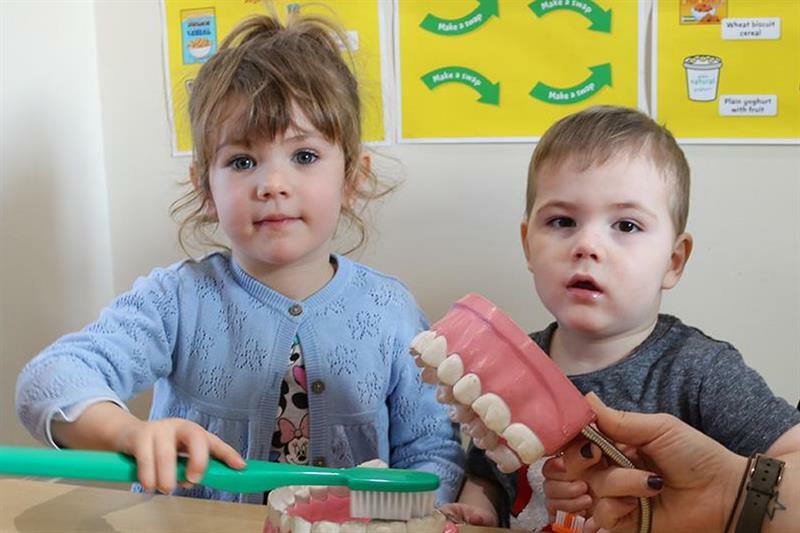 ​Thousands of young children are to benefit from a new £1.5m programme aimed at transforming the dental health of under 5s across Greater Manchester. Launched by the Greater Manchester Health and Social Care Partnership, the fresh initiative will see supervised toothbrushing introduced in schools and nurseries plus dental care incorporated into health visitor checks in areas where particularly large numbers of young children suffer from tooth decay. More than 1 in 3 five year olds across Greater Manchester experience tooth decay – well above the England national average of 25%. In some local areas the number of young children affected reaches more than half. This has resulted in over 15,000 tooth extractions being carried out on local children in the past four years – 60% more than the national rate for England. The programme comes as a new national Public Health England (PHE) campaign is supporting families to cut back on sugar by encouraging parents and carers to ‘make a swap when you next shop’. Making simple everyday swaps can reduce children’s sugar intake from some yoghurts, sugary drinks and breakfast cereals by half – while giving them healthier versions of the foods and drinks they enjoy. Last week, PHE released figures which show that nationally children have already exceeded the maximum sugar intake for an 18 year old by the time they reach their tenth birthday. It is targeting four areas in Greater Manchester with its latest campaign – Salford, Rochdale, Bolton and Oldham – after they have each been identified by the NHS and Public Health England as among the country’s top national priority areas for improving children’s oral health. Currently around half of all 5 year olds in Salford and Oldham (51%) start school with tooth decay – above the national average for England (25%). Likewise in Rochdale and Bolton levels of decay are 44 % and 41% respectively. improving access to quality dental services for those aged under 5. Each activity aims to tackle the widespread impacts of high sugar diets and make regular toothbrushing the norm.